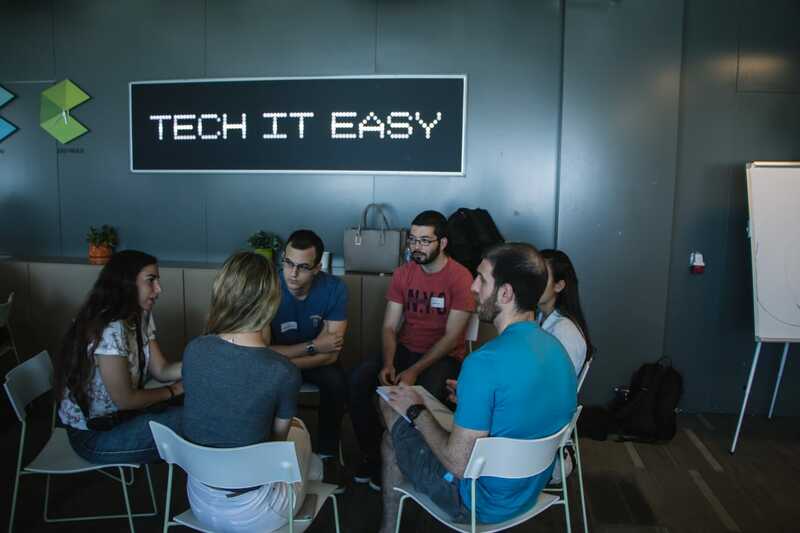 Startup accelerators are intensive programs assisting in the complete realization of projects – from planning to praxis - in a manner of ten weeks. The program's goal is to accelerate the growth of projects, while also helping investors discover interesting startups. The accelerator model exists in big civilian companies, and less than a year ago it was integrated into the IAF in order to detect key organizational issues in the force and find creative, applicable solutions. The IAF Startup Accelerator's second cycle, led by the force's Innovation Department, has recently come to an end. "In preparation, we did a three-month-long preliminary research with department heads and senior IAF service members, read work plans and interviewed people in the field. We wanted to find significant discrepancies in the air force which haven't been solved or fell through the cracks", explained Maj. A', Head of the IAF Innovation Department and a pilot at the 122nd ("Nachshon") Squadron. "We looked for suitable people, disregarding age, rank or duration of service", said Maj. A'. The accepted candidates were divided into ten teams, with each team dealing with a different challenge in various fields: munition development, knowledge management, welfare and bureaucratic obstructions in the force. 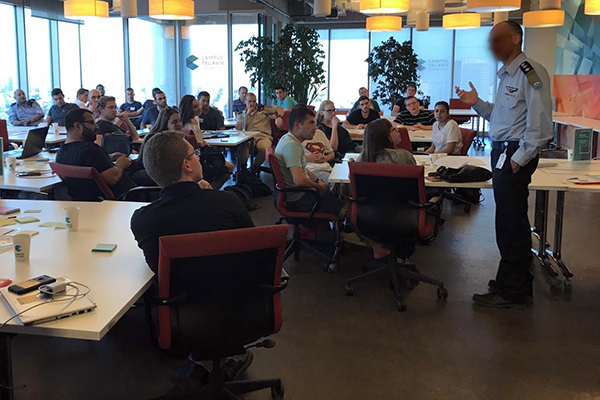 The teams met once a week for three months, hearing lectures regarding numerous relevant topics and experiencing professional guidance from high-tech industry experts. The teams began with researching the problem and later learned how to develop ideas, implement them and attract interested clients. "I don't think I could have received this information anywhere else. We learned the best ways to get support and how to properly determine our ideas' target audience", elaborated SSgt. Ohad Be'er, who serves in an "Iron Dome" weapon system battalion. SSgt. Be'er was placed in a team which focused on the challenge of sharing knowledge in the air force. The team's goal was to improve communication between the IAF's various squadrons. "The problem was known to all those involved. We tried to understand its source and characterize it – whether it comes from the lack of cooperation by certain IDF units, or just a technological issue that needs to be solved", said SSgt. Be'er. "As soon as we understood the problem, we checked if there were companies who encountered similar problems and whether we can learn from their solutions". 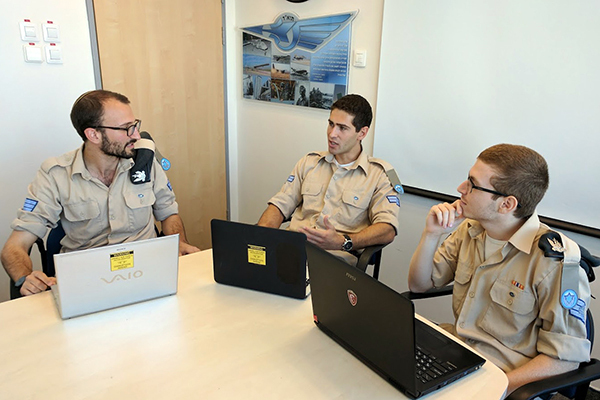 For example, as part of the IAF Startup Accelerator, one of the teams developed an organizational mechanism for munitions development – the mechanism allows the munitions to be divided into modular components, adjusted according to the changing operational needs. "How didn't we think of this before?" 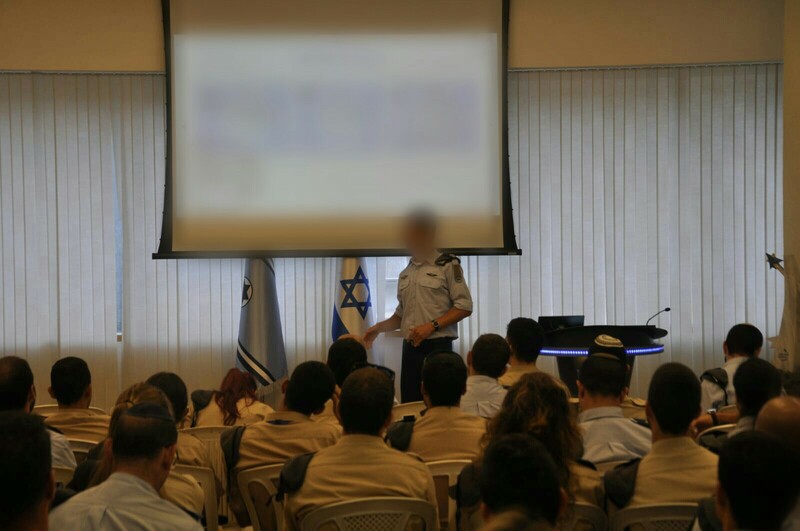 At the end of their work, the teams displayed their solutions to a forum of executive IAF service members headed by Brig. Gen. Tomer Bar, Head of the IAF Headquarters, in order to receive the necessary resources and implement the solutions into the force. They did this as part of a "demo day", similar to its civil counterpart in which startup companies show their plans to potential investors. "I heard the phrase 'how didn't we think of this before?' several times during the discussion", said Maj. A'. "Our infrastructure, time and support allowed the teams to delve into the problems and solve many problems along the way, all in order to reach a solution which ends up being simpler than it originally seemed". The next startup accelerator project may already be on the way, but the Innovation Department knows that this is just the beginning for the newly established projects. "We realize that proper implementation of the projects is crucial to their success, and we will make sure to follow them along the way".